A prefix is placed at the beginning of a word to modify or change its meaning. From international email discussion lists to online tests, these links cover a wide range of "stuff" to do that you can try out. There are some amazingly comprehensive sites (like Dave's ESL Cafe) as well as smaller sites but very interesting and useful sites. You should find at least one site that makes you say, "Wow, that's cool." Englicious.com is a site with unusual resources for English learners and teachers, with advice, interactive quizzes, tips, and word puzzles. A totally free way to find a language exchange partner from any where around the world. Using the facilities that Huitalk offer you can share your language skills with each other at any time or from any place. There are also articles, reviews, activites and much more. Hello_World.com has free online games, songs and activities for learning Spanish, French, English and more. All activities are appropriate for children. Open English World provides free activities to help improve your English. The Weekly Idiom will help to improve your spoken English. Business Jargon will improve your business English conversation. Talk English will help you speak English fluently in daily life. The Forum is a place to meet students, ask questions, and discuss activities. ESL site with free English grammar and vocabulary quizzes, downloadable handouts, video-based exercises, lists of American idioms and phrasal verbs, and more. VocabularyCoach.com offers 6, non-traditional vocabulary exercises to help non-native English speakers learn new vocabulary words. There are over 4,000 vocabulary words in the database, ranked by difficulty, and on several of the exercises students can select various program options. For all exercises, hints and/or additional information for each vocabulary word is given, including secondary meanings, antonyms, example sentences, synonyms, and etymology. This web site offers a wide range of gap-fill exercises and reading comprehension for pre-intermediate students and above for a fee. (The demo and elementary exercises are free of charge.) A special feature is the use of film scripts for intermediate and advanced students. Learners are encouraged to do regular revising by saving results and comparing statistics of previous efforts. It's not only grammar but leisure and fun that are always in focus! Variety of exercises and web based programs to help you practice English online. The FCE Blog is a guide for students preparing for the Cambridge First Certificate in English exam (FCE). It offers guidance to every part of the test as well as learning strategies for autonomous language learners. Free Interactive ESL Quizzes, ESL PowerPoint Video lessons, Online English learning using interactive quizzes, PowerPoint Videos. Survival English ppt videos, listening, Business English listening & interactive Quizzes. 180 Free Quizzes and Videos for Online English Learning. Travel the USA with pictures and learn about American history and culture. Includes free printable activities. Free online language lessons in English and Spanish. Some of the most comprehensive language lessons available on the Internet. Searchable library allows you to find language lessons by level, by language or by language for special purposes. Metaphor lessons, examples, tutorials, tests and essays for educators, students and writers. Includes visual metaphors, definitions, difference between metaphor and simile. Also has small selection of streaming video clips with metaphor. Daily lessons for learners of English trying to the learn the language well enough to read authentic materials like the daily newspaper. Includes both reading and listening. Content is very current, often on news happening today. Operation Mathlog is an internet-based maze designed especially for mathematical-logical EFL learners. The maze comprises a selection of language tasks of different kinds, including anagrams, acronyms, word search grids, word chop exercises, riddles, categorisation tasks, enclosures, arranging tasks, cryptograms, and problem-solving tasks. Each language task is presented on its own web page, and in order to get the address of the following task, learners first have to solve the current task. Reading Comprehension and test preparation Interactive reading comprehension activities. These activities promote comprehension and prepares ESL students for reading exams (such as the Cambridge PET). Multiple activities. Educational, free, and fun! This webiste contains interactive vocabulary tests for ESL learners, created to help you expand, test and revise your vocabulary in a fun way. Learn how to pronounce English using video podcasts on your computer, iPod or PSP. Study English online with graded exercises and stories that will improve your reading skills. The grammar section will help you with your doubts. A large collection of English vocabulary word lists with many online games that use these word lists. You can choose a word list then choose which game to play or you can first choose a game, then choose which set of words you want to use. Short and Easy Descriptions of the English Tenses Ilustrated with Cartoons. Learn the English Tenses or review your knowledge about the English Tenses and test it later. All that accompanied with flash cartoons. Great site for both learner and teachers. From this page, you can easily and quickly listen to many podcasts. 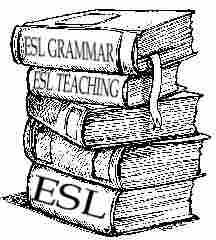 Free online English lessons and English grammar for ESL and EFL learners. Includes also tests, English alphabet with pictures of animals, poetry and lyrics. Everyone can learn English; this site explains English, so that everyone can understand. English students will find a variety of on-line English curriculum on this site. The web based English curriculum has been developed by English Teachers located throughout the world. A collection of online and paper-based EFL exercises, updated when I have time! Teachers helping teachers: free site with free worksheets, free topics, free flashcards, and free ESL games. Over 700 worksheets, over 1000 flashcards, over 300 reading topics, over 400 question topics, 80 board games, card games for English classrooms. There is also a new writing section which is small but growing. This site targets listening, reading, and writing skills for EFL and ESL students enrolled in the health sciences. Here they can improve their communication skills in the building blocks of the health sciences: biology, chemistry, and physics. The site is especially useful for Arabic-speaking EFL students. English Trailers is a fun site were you can study English while watching movie commercials. There is a long list of trailers to choose from. Each trailer has a summary, the script, a cloze exercise and a little quiz to check your English! Try it - you'll like it! The English Maze is an exciting online English learning environment for ESL/EFL students, teachers and schools. It combines leading web technology with dynamic Speaking, Listening, Reading, Writing & Grammar activities to bring users a unique approach to learning English. Take an English course, chat with friends, find an E-pal, or visit one of the English Maze 'Rooms' to improve your listening and speaking abilities. Includes free lesson plans for teachers. A free EFL site for English learners. Students can find mini-lessons and exercises on idioms, vocabulary, short articles on Canada, etc. More than 160 puzzles All of the words on the Voice of America's Special English word list are included in these puzzles. Have fun while studying vocabulary. All Hints are definitions, not just hints. StudyStack provides free online educational tools to help students memorize information. Tools include flashcards, matching, hangman, and word search. EFL Literature Circles are fun, focused reading and discussion groups which allow EFL students to have real, meaningful discussions about literature or stories in English. Our site describes why and how to use Literature Circles with EFL students. Say What ESL Magazine is created for ESL learners. You will find Grammar Lessons, Games, Quizzes and Magazine Articles for English Language Learners. You will also find useful advice and links for international students. Online activities for students of General and Business English. There is also a page for teachers with information and help on teaching EFL and ESL. While having fun catching the letters to spell the words, you can practice spelling and review vocabulary. There are about 200 games on this page. The main focus is on providing suitable texts for reading, and on using English as the medium for learning about the world around us. Three main sections for my different students: Two NET (Native English-Speeking Teacher) Corners for my students in Hong Kong and ESL4kids for all others. Site contains reading texts and online quizzes. This is a site for adult ESL teachers and students. It contains some original stories with exercises, student writing on various topics, grammar explanations and exercises, listening exercises, vocabulary exercises, and links to websites with student activities. Some of the exercises are in Flash. A Vast Collection of free printable ESL lessons for English teachers and students. This site also contains resources for classroom management, ESL activities and information about studying and living in Canada as well as teaching abroad, and more. B5 Notebook is a web magazine and discussion site for EFL and ESL students. Everyone is welcome. Join and you will have your own journal or diary space on the site. Read stories written by other students. Write about anything you like. Share your opinions and ideas in the discussion. This site is moderated by all the users. Students vote for the stories they want to read. Resources for ESL/EFL students. Site provides many on-line study aids including free grammar lessons and exercises, idioms, business english vocabulary, wordgames, crosswords, quizzes, plus links to radios and newspapers. Great place to learn and discuss the English language. All our forums are free, and professional teachers regularly wander about helping! Topics include Business English, letter writing, Medical English and student chit chat. A nice collection of links to help both teachers and students. Colourful, dynamic and useful. You can learn English with funny and cool activities. Vocabulary drills on frequently misspelled words, irregular verbs, irregular nouns, challenging words, common erros, numbers, months, capacity, length, weight and other English terms. A large collection of vocabulary links,by categories, designed for advanced ESL learners. Learn English with my interactive ESL exercises, picture dictionaries, grammar pages, find an e-pal, submit your ESL texts for free publishing, and more! This link site is aimed at beginning to emerging ESL/EFL learners. The emphasis is on interactivity with most activities requiring plug-ins such as Shockwave, Flash, and Real Player. A site with activities for ESL students. They are organized by several popular textbooks (Addison-Wesley ESL, English Firsthand, Making Connections), but there are resources for all students, including a message board. An eclectic site for teachers and students of English as a second or foreign language. The main project is Randall's English Language Emporium and focuses on providing students with the ability to improve their English through self-study and the internet. There are also many links and ideas for teachers. Website with resources for secondary students of English, with exercises, listenings, recommended webs and readers, penpals and useful tools. Where ESL students can use magnetic word boards to create short poems or descriptive sentences, and then submit them for inclusion in our Writers' Pages. How to learn English effectively. Includes advice from people who learned English successfully. Site written in simple English. Interactive java applet exercises for learners (cloze, multiple choice, hangman, memory ...) with a facility enabling teachers to borrow the functionality to make exercises for their own students. A FREE site from the British Council to help you learn English. Includes pop songs and lyrics, games and competitions, wordsearches, stories and poems, links and e-cards, information about where to study English. The Virtual Independant Learning Centre is an extensive collection of English language learning tasks linked to World Wide Web pages and SBS News. These tasks are written by experienced teachers and are growing and evolving daily. The Virtual ILC allows students and teachers to discuss tasks and other issues of interest. Free, weekly, downloadable, photo-reproducible EFL / ESL English lessons for all ages to supplement any text. Lessons are all communication based with a large variety of lessons including games, activities, pair-work, group work and whole class exercises. Online English has ESL materials for teachers and learners. Here you will find downloadable teaching materials and lesson plans, teaching tips, Doctor Grammar, quizzes, a hypertext guide to ESL exams, free software to help students with the Cambridge First Certificate Exam (FCE) and lots more. The ESL Independent Study Lab is designed to help students study English outside of the classroom. There are over 75 annotated, graded, links for reading, listening, writing, grammar, pronunciation, vocabulary, TOEFL, content/research and fun & games. Students can also write "site reviews" and submit writing for posting at the Lab via "Interact" activities. Practise phrasal verbs by topic. Mix up verbs and prepositions to quench your thirst. You need shockwave for this activity. Information on Live Language Live Language Theatre, one of the longest running language teaching theatre companies in Europe. Also The Peninsula Summer School where for the first two weeks of August teachers are trained in how to use drama to improve communication and spontaneity, how to take advantage of the local environment and how to motivate themselves and their students. A meeting-place for English teachers, with info, links and lots of activities and projects to take away. EnglishSpace is an online English language course for students of English as a Second, Foreign or Additional language. A fun and friendly place for ESL students (and teachers) to meet and practice English. Lots of fun things to do. Come in and take the Grand Tour! English Resource Center for ESL teachers and students, containing projects/lesson plans on various subjects (i.e. Road Safety, Yitzhak Rabin. Site also includes wide range of links to ESL resources. Produced by Amal Pedagogical-Technological Center (Israel).
. Improve your listening, reading and writing skills in WritingDEN. This web site presents information at three levels of language difficulty, hours of professionally narrated RealAudio files, and challenging quizzes. The Purdue On-Line Writing Lab. Mailing lists for ESL/EFL learning, established in 1994. I have home computing again. It seemed for a while there as though I had to choose between losing files and a lot of work or spending money I couldn't spare. That's when I decided to wait a while and use public access computers. That meant spending less time with this class - less time for both blogging & class administration. I was behind processing applications as well as cleaning out slackers. I also maintain the web site for the Mountainair Chamber of Commerce and write a community blog, Mountainair Arts. But just a few days ago someone gave me a purged tower. So now I am back working at home - and probably spending too much time online! "Purged" means I have to install programs and have been spending a lot of time waiting on slow downloads on a dial-up connection. I am replacing as many as I can with open source programs. While waiting on downloads, I caught up with the backlog at efi beginner. We have three new students, one of whom, Poliana, is ready to join us here. Be sure to welcome her when she posts her introduction. I processed 15 applications to join the class. In case you are now wondering if there will be too many students in the class for me to have time for you, many applicants don't complete the application process or never complete the 1st lesson. The other part of today's course housekeeping involved going through all the student folders and clearing everyone who had not sent work or written to the blog in three months or more - cutting more slack for those of you who have been in the class a long time. The next step is to send reminders to everyone who is still in the class but behind with their work. So just what IS a phrasal verb anyway? There are many types of two-word and three-word verbs, and even a couple of four-word verbs. Only some of them are phrasal verbs, in the strict sense of the term. Linguists will tell us that phrasal verbs have three distinguishing features. teachers occasionally hear that English has a "double vocabulary," a formal word and a casual one. This is an important instance of where the everyday Germanic foundation doubles with Latin- and French-origin words: pick up versus lift, put down versus place, come in versus enter, go out versus exit. the parts are "separable." Here is one part that many, many exercise books and even textbooks are mistaken. When the stress is on the particle, as in rule 1, then pronouns and direct objects fit nicely between the two parts: "pick the book up" and "pick up the book." Sentence Changes (or sentence transformations) are often used in advanced level exams such as Cambridge's First Certificate, CAE or Proficiency. Taking just one word, change a second sentence similar in meaning to the original. The re-written sentence must mean exactly the same as the first sentence. Here are quizzes to help build this skill. 1.Police squad help dog bite victim. 2.Man eating piranha mistakenly sold as house pet. 3.We saw the Eiffel Tower flying from London to Paris. 4. The police were ordered to stop drinking after midnight. 5. A sailor was dancing with a wooden leg. 6. The chicken is ready to eat. Rewrite the following sentences using the words in capitals so that the meaning remains approximately the same. But don't just read the articles. Consider your own experience with the differences between writing and speaking - not just in English, but in your own language as well. It passed 5 months of this year already. Then I checked what I did for my New Year's Day resolusion. I didn't read the book which I decided to read yet. I always failed in reading books. How should I do? I write "Did you read the book today? " and pin it above on my PC. I will take a memo how many pages of the book daily on my journal. I hope it work well.